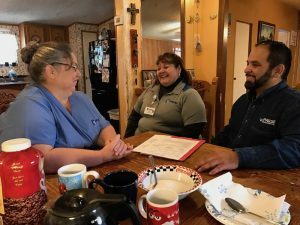 When you envision a senior living facility, you might think they are all comprised of young, healthy nurses and care workers gathered around seniors in a community room or dining hall, perhaps serving them meals or helping them get up from their chairs. But there is another level of support which is often overlooked in senior living facilities: seniors are helping other seniors. In other words, senior citizens serving as caregivers. Research indicates that many senior citizens, especially older women, still yearn to care for others well into their golden years. There are many benefits of seniors living together, besides the ease of caring for many seniors at once. For starters, group living for seniors reduces the likelihood of loneliness which typically afflicts older age groups and it reenforces a sense of community. Seniors often say that they are lonely and having just one friend in a senior living facility can help them feel more alive, loved, and appreciated than if they were to continue to live alone. 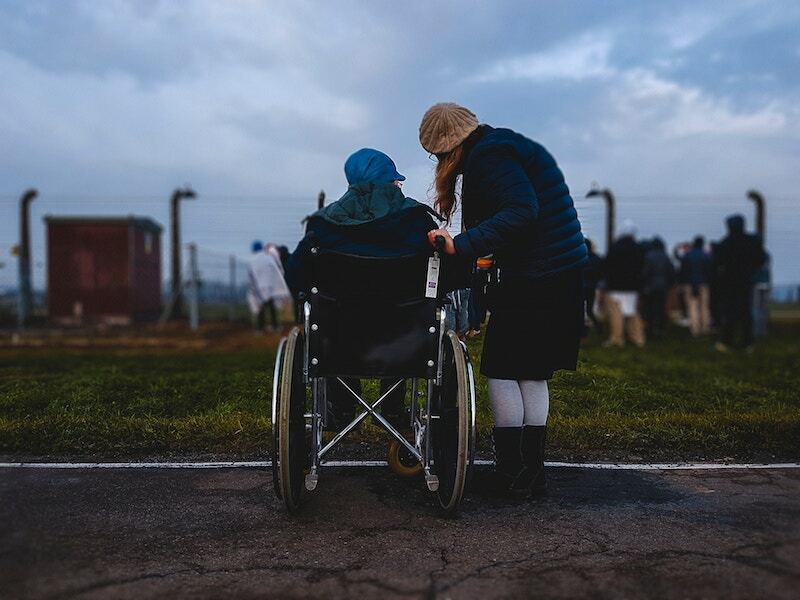 Those who are mobile, can push the wheelchairs of those who can’t walk, and they talk and share stories. Camaraderie helps to improve the quality of life for seniors when they have someone to talk to on a regular basis, and it makes them feel as they are part of a family. 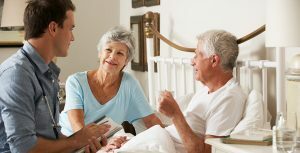 This is especially helpful if seniors don’t have a family to call upon or are living far away from their families and rely upon others to serve as their caregivers. Seniors who retain full use of their eyes and hands and can read stories or write letters for other seniors. They are able to read to those who don’t have their sight anymore, or who are starting to lose their way because of dementia or Alzheimer’s disease. Having a familiar face that they can turn to and hearing a familiar voice can add comfort during times of confusion. Sometimes just sitting and communicating with another senior can brighten their day, but sharing a newspaper article, a funny post on Facebook, or writing out a shopping list for the weekly trip to the mall, can be a big help and bring dignity to the senior who receiving help from a friend. In some cases, seniors live in assisted-living facilities that have full kitchens or they live in apartments designed to be occupied by able-bodied seniors. They may be responsible for day-to-day upkeep of their living spaces. The healthiest of these seniors can help their friends by collecting garbage, washing dishes, or making a bed. The trust built by the sharing of chores may provide immeasurable relief to a senior who cannot accomplish their housework without help. Everyone wins when seniors reach out to help each other and serve as caregivers. The bonding creates a strong paradigm of community filled with caring people who can lean on each other as they age. Kristen is a passionate writer, teacher, and mother to a wonderful son. She currently volunteers at Freedom Care, a company that coordinates care as part of the New York CDPAP program. During her free time, you can find Kristen tackling her lifelong goal of learning the piano!